In the next examples we will illustrate how to define basic actions. We strongly suggest that if you choose to use Actions to control visibility, all visibility definitions must be done with actions. 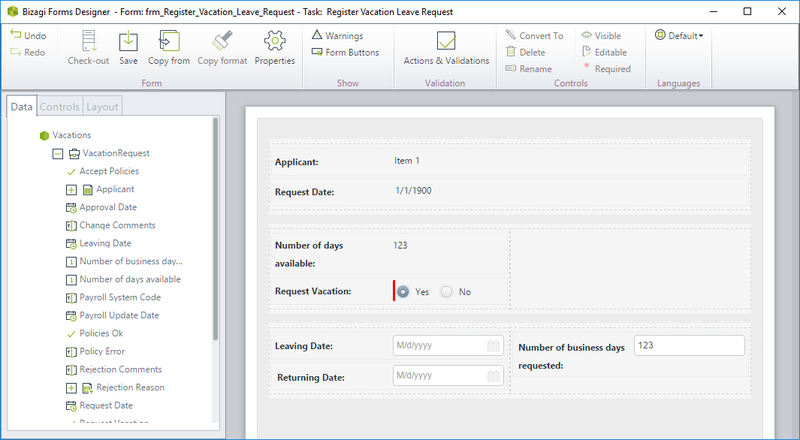 In a Vacations request process we will like to display the control Leaving date, when Request Vacations is true. 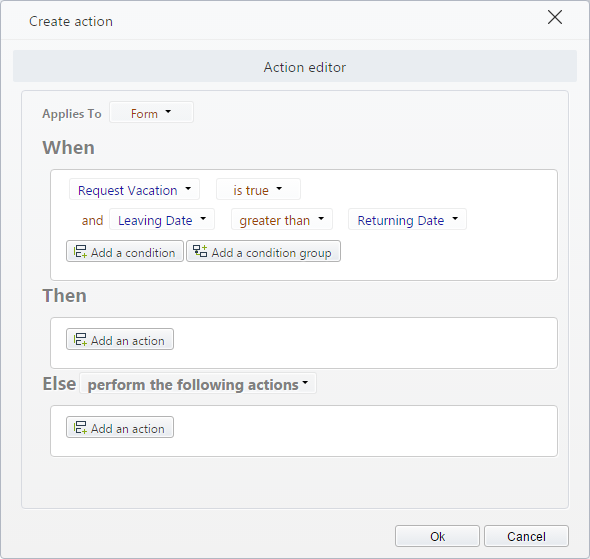 We will hide the control Leaving Date when Request Vacations is false or not selected. 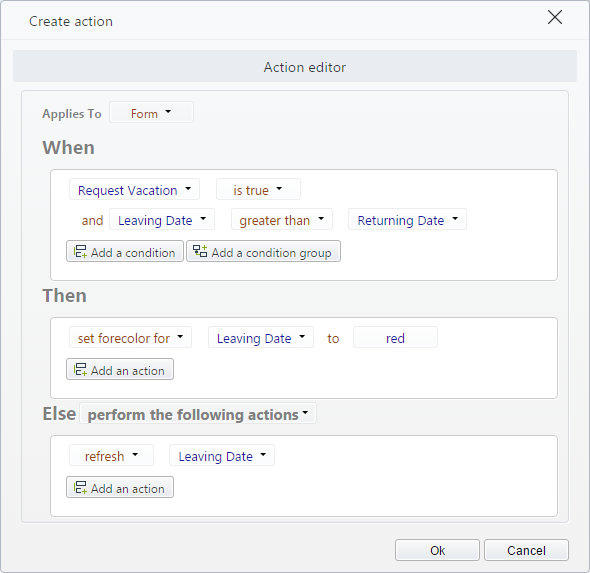 On the Forms designer select Actions & Validations and add a new Action. 2. Include the condition. 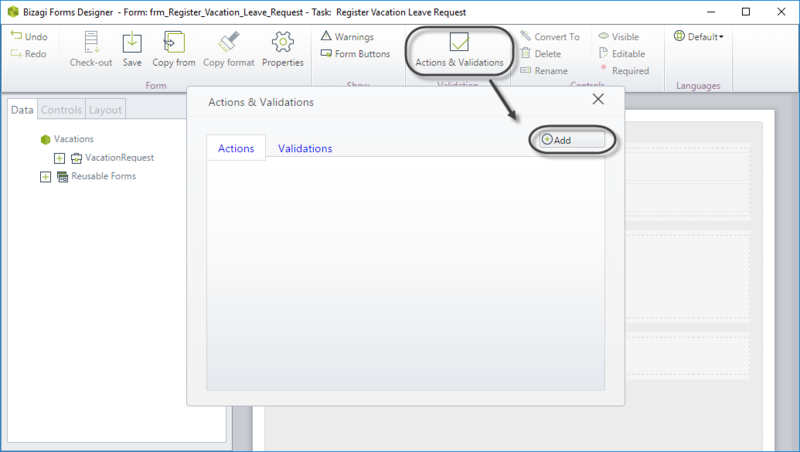 Click Add a condition and select the control, operator and argument as follows. When Request vacations changes to true. 3. Include the Action (Then). 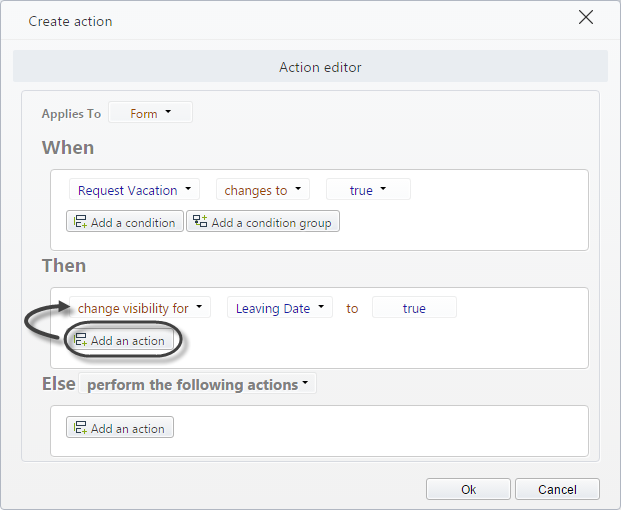 Click Add an action and define what will happen when the condition above is met. 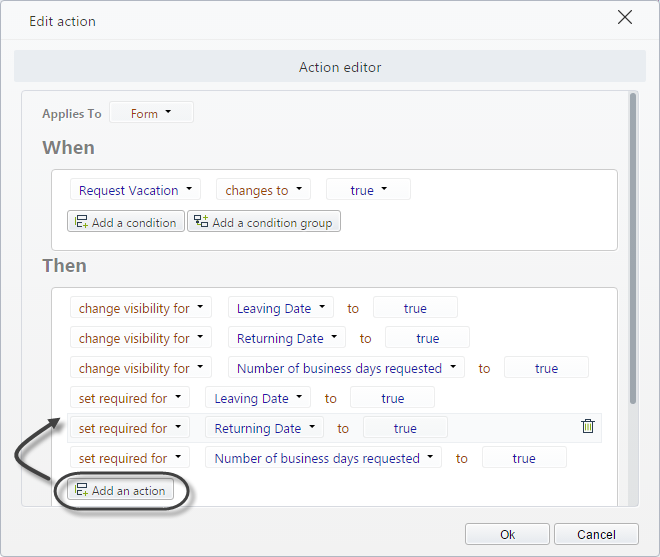 Change visibility for Leaving date to true. 4. Define the Else Action, that will execute when the condition is NOT met. 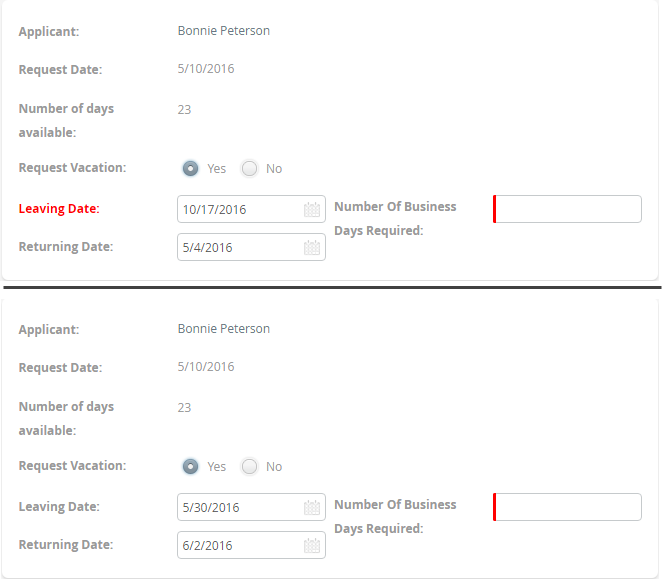 Change visibility for Leaving date to false. 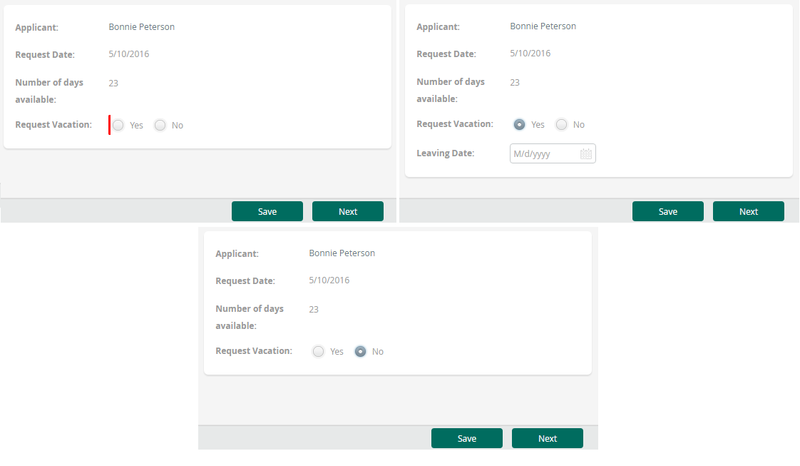 Leaving date, Returning date and Number of business days requested. 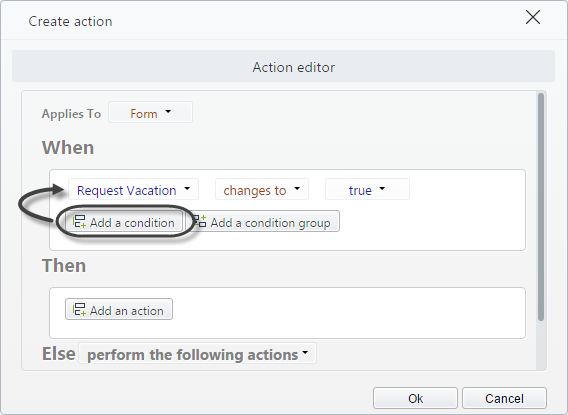 We will hide those controls when Request Vacations is false or not selected. 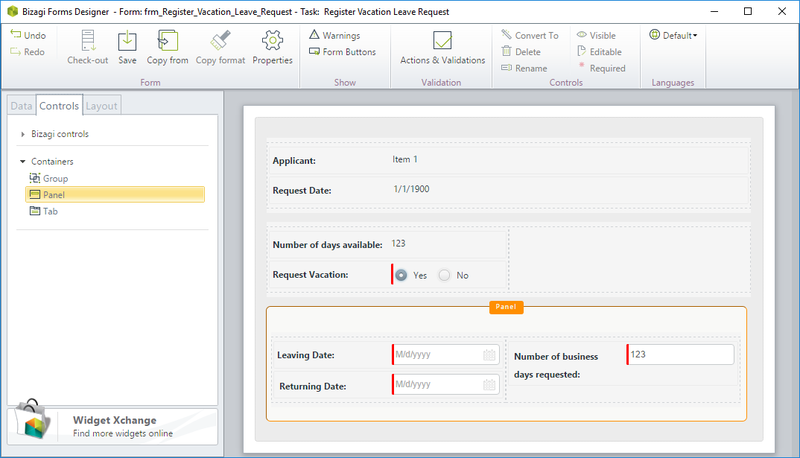 Change visibility for Leaving date, Returning date and Number of business days requested to true. 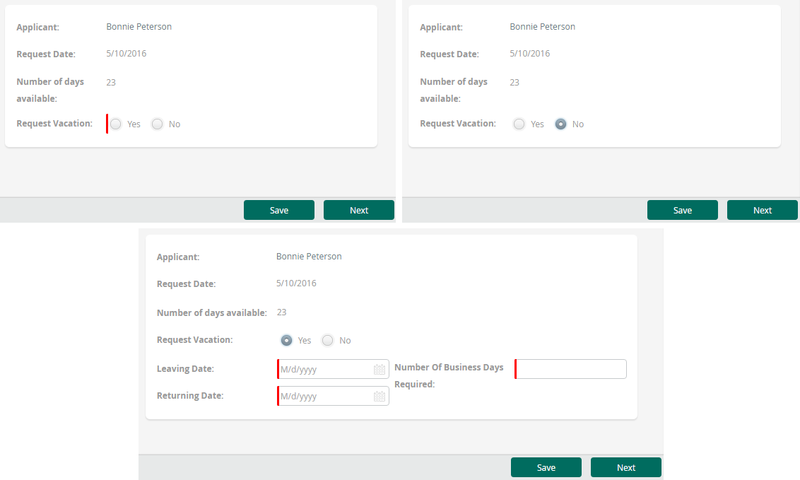 Set required for Leaving date, Returning date and Number of business days requested to true. 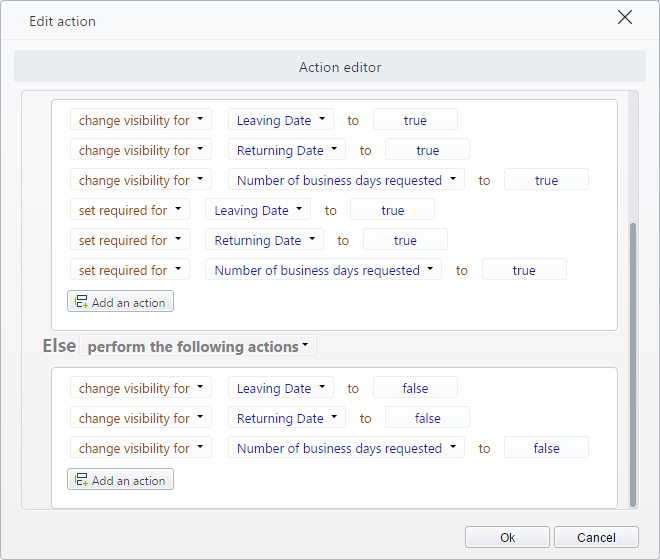 Change visibility for Leaving date, Returning date and Number of business days requested to false. Note you don't need to make the controls not required, since they will be hidden. You can include controls one by one like in the example above, or you can group them and make a single Action. This is recommended: it will save you a lot of time and make the managing of Actions a lot easier. 1. Include a Panel, dragging and dropping from the Controls area. 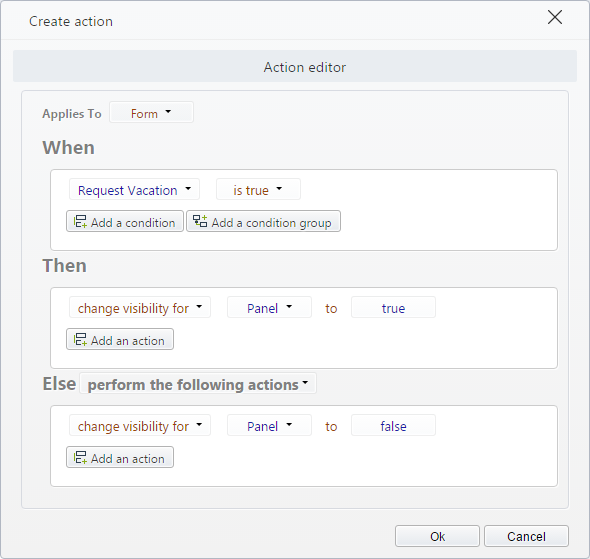 Drag and drop the attributes you will affect with your Action into the Panel. 2 Create the Action just using the Panel as control. Panel groups the controls contained. 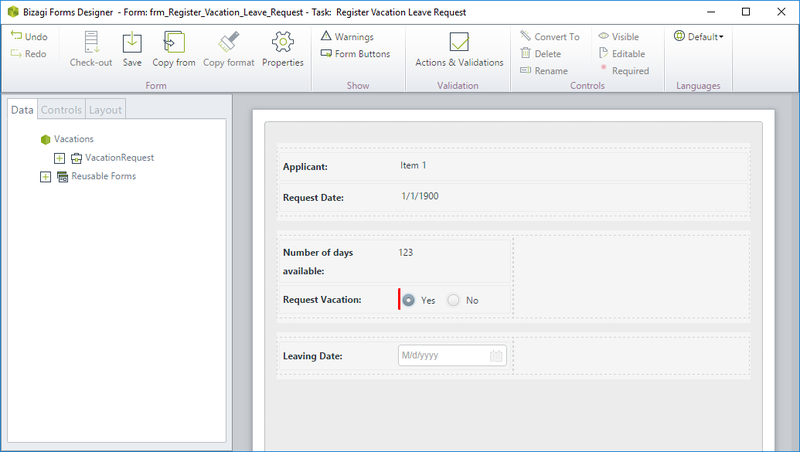 This example and the one above have the exact same effect on the Work Portal. There is no difference on the interface presentation, Panels just make you work easier. 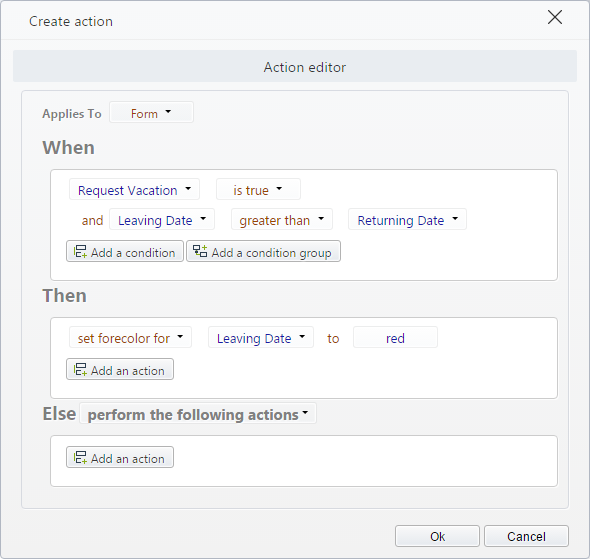 In a Vacations request process we will like to change the color of the control Leaving date to red, when Request vacations is true AND the Leaving date is greater than the Returning date (which makes no sense). 2. Include both conditions in the When section. 3. 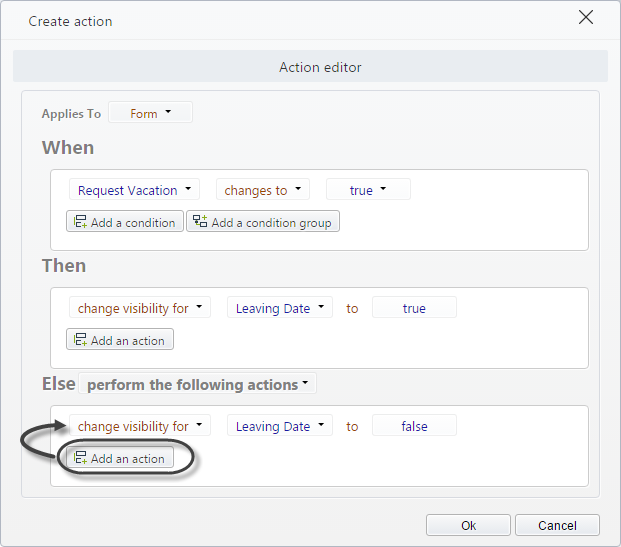 Add the Action in the Then section to change the color of the control. 4. Add an Else Action to return the control to the original state.